Come join Tour De Force as we cycle through unspoiled Montenegro and Albania. We will be departing on the 21/9/19 to cycle 500 km over 5 days. 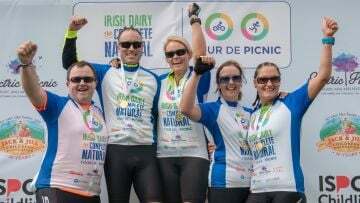 Tour De Force has been in existence since 1998 and to date we have collectively ridden 300,000 km and donated €1.1 million to charities based at home and abroad. We have cycled through 15 different countries including USA, Spain, Portugal, Croatia, Italy, Slovenia, Sicily and of course Ireland. 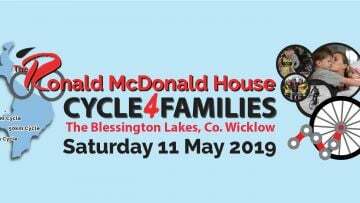 This year we are cycling for: Peter McVerry Trust, Little Blue Heroes and CRY. Little Blue Heroes Foundation is a not-for-profit charity operated entirely by volunteers. It's volunteers include Garda members and staff, retired Garda members, their families, friends and civic minded people from communities. It aims to help families in need from local communities in Ireland who have children undergoing long-term medical treatment for serious illness. The Peter McVerry Trust is a charity set up by Fr Peter McVerry to reduce homelessness and the harm caused by drug misuse and social disadvantage. CRY is a charity which tackles Cardiac Risk in the Young and it raises awareness of the condition known as Sudden Cardiac Death or Sudden Adult Death Syndrome (SADS) through media campaigns and information meetings. CRY provides free counselling and support for families affected by sudden death or cardiac conditions.